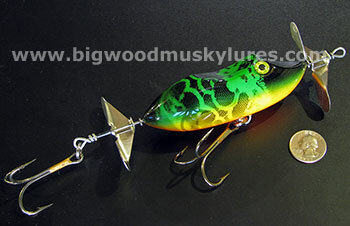 Description: The Freak’N Frog Buzzer from Bitten Tackle, is a great choice from the first warming trends of spring right into early fall. 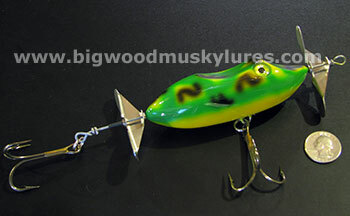 This Muskie topwater bait can be worked very slow and quiet during calm conditions or quickly retrieved through whitecaps. 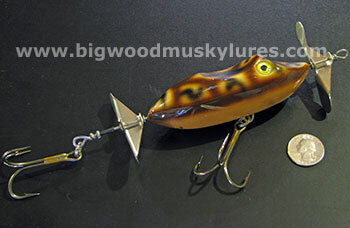 Very simple bait to fish yet extremely effective! With tuneable, custom stainless steel blades the Freak'N Frog Buzzer can be adjusted for the desired sound and commotion. 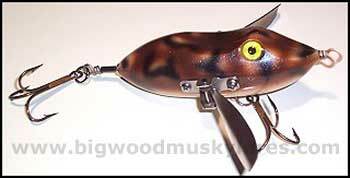 So run this great topwater bait fast or slow. Buzz it or pop it. 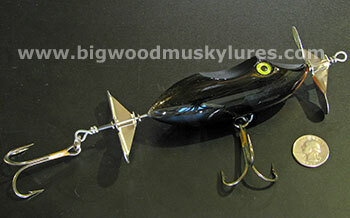 A solid plastic body with through-wire construction gives this musky topwater bait durability at an affordable price. 2.3 oz. and 4 1/2" body. 7 1/2" total length.